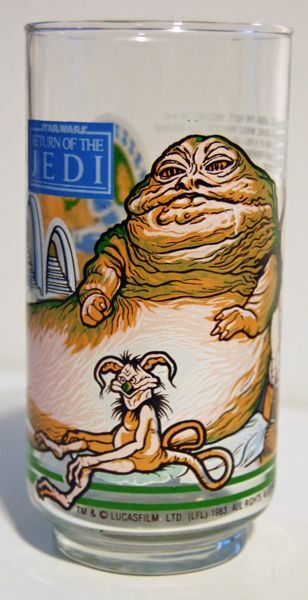 You may recognize this glass as one of the ones Burger King gave out in 1983 to coincide with the release of Return of the Jedi. 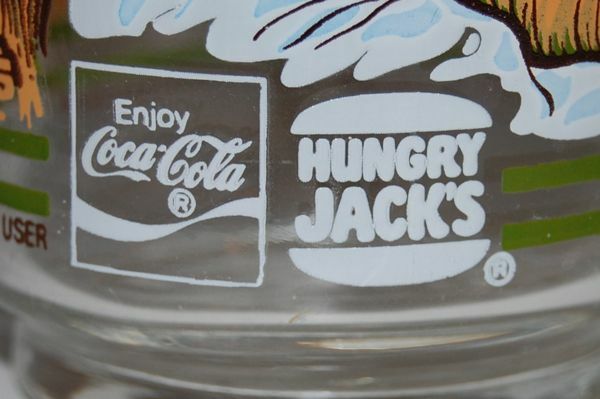 However, this particular glass was actually given away at Hungry Jack’s restaurants in Australia. Hungry Jack’s is the Australian version of Burger King. 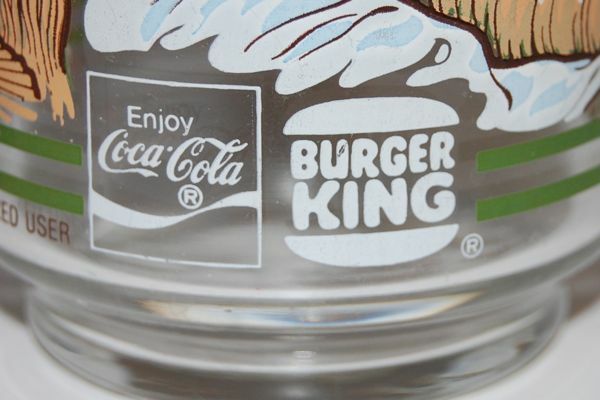 Apparently when Burger King went to expand into Australia in the early 70s, they found that the name “Burger King” was already trademarked, so they had to come up with a different name. The only real difference between the two versions of the glass is that one has the Burger King logo and the other has the Hungry Jack’s logo, although the Hungry Jack’s version does seem to have slightly darker paint and feels slightly heavier. I tried weighing them with my postal scale, and sure enough the Hungry Jacks glass was 8 grams heavier (178g compared to 170g for the Burger King version). I’m not sure if these are actual differences between the two versions of the glass, though, or whether it’s the kind of thing that varied even within the same product. Thanks go to my friend Dale in Australia for donating this glass to my collection. 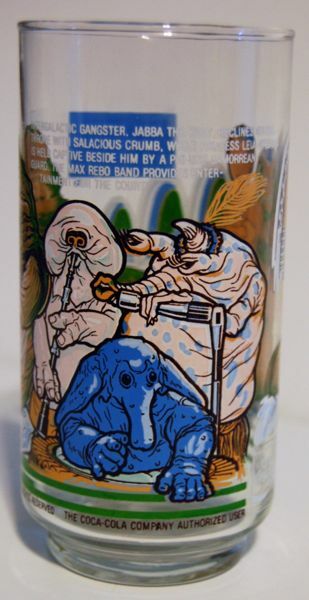 Hi i have 2 1984 Hungry Jacks Return of the Jedi glasses never used with the Hungry Jacks coupon still with them what would they be worth or how rear are they. I don’t think they’re particularly valuable. I’m just guessing, but maybe in the $10-$15 range if sold in the US.